A little weekend treat for my feet on a dreary day. 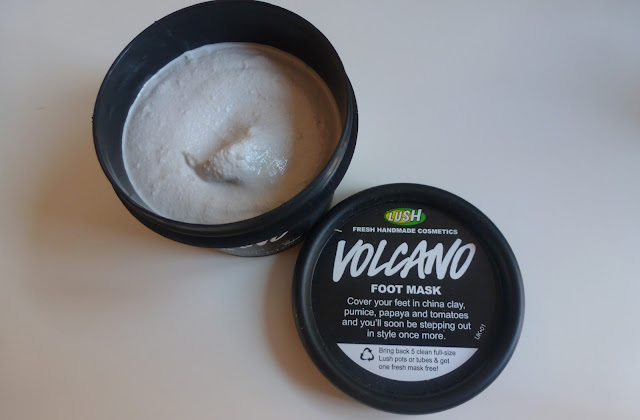 After soaking and scrubbing my feet I slapped a load of Lush Volcano foot mask to my soles and wrapped them in cling film. As I waited the 20 minutes recommended, I could feel the mask really cooling the skin and tingling my toes which felt lovely and soothing after a day of stomping around town. As I washed the mask off I massaged my feet to feel the bits of pumice in the mix smooth the skin. The only downsides to this product are that it doesn't smell great, but then neither do feet, and it is a little messy. 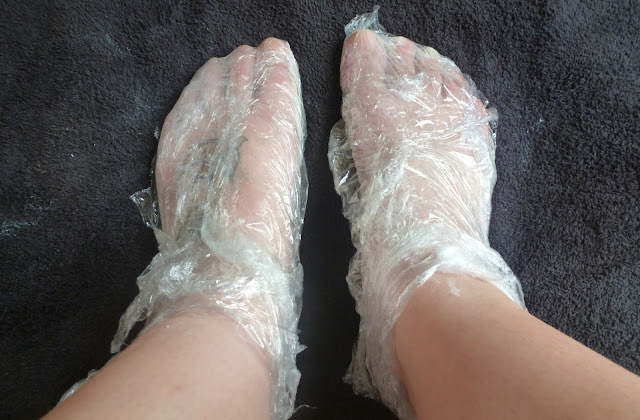 But the pro's far outway the cons as afterwards my feet felt so "clean" (I do wash them in the shower but this was a whole new level of clean!!) They were left so refreshed, smooth & soft I can't wait to do it again next weekend! This sounds a perfect little pamper. Ooh this sounds lovely! 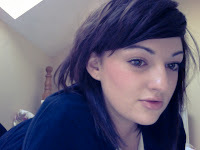 Need to get myself to a Lush asap!